In the center of town there is a used record and music store. 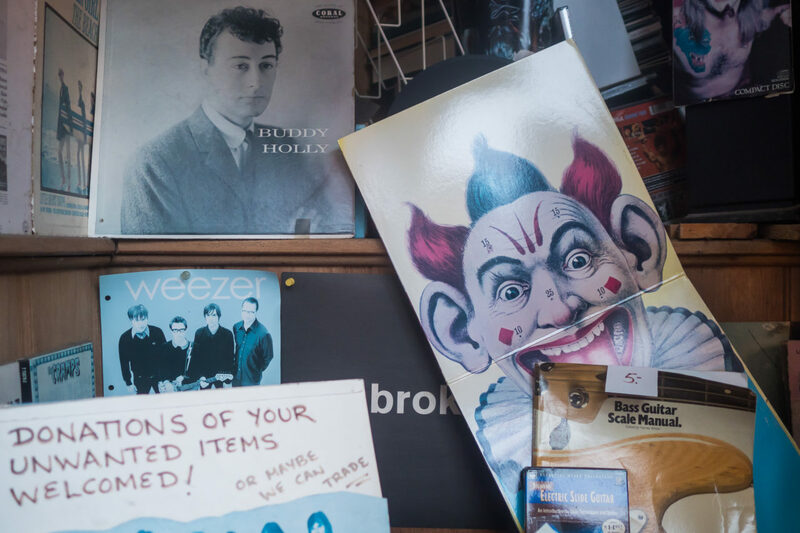 You can buy used LPs, CDs, and concert (and sports) memorabilia. Their front window display is always interesting. Today I found Buddy Holly. And Weezer, who looks just like Buddy Holly.